At times, this team is infuriating. 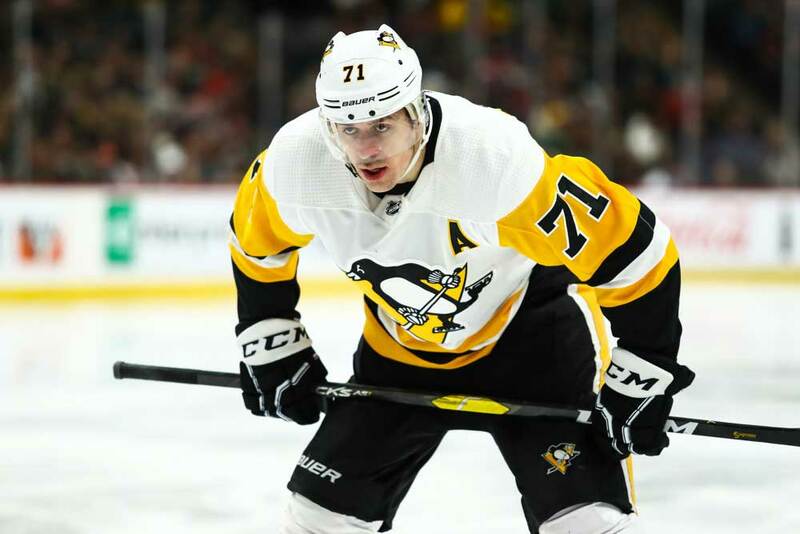 The Pittsburgh Penguins are blessed with remarkable talent, yet they seem to play well below their potential on many nights. Maybe their heart isn’t in the grind after winning two championships in the past three seasons. Maybe age is simply catching up to their stars. When they’re dialed in, though, their ability to leave opponents in the dust remains virtually unrivaled. The Pens’ 4-2 victory over the Tampa Bay Lightning on Wednesday was a prime display of their potency. While they didn’t control the contest from start to finish, they didn’t need to. They took down the league’s front-runners on the strength of one five-minute, three-goal flurry in the first period. By the time Jon Cooper’s troops had recovered from their daze, they were staring at a deficit that would prove too large to overcome. Pittsburgh may have just gotten scarier too. For some reason, Evgeni Malkin and Dan Girardi seem to have it in for each other. The biggest hit of the star center’s career came at Girardi’s expense. On Wednesday night, the hard-nosed veteran returned fire with a sturdy check of his own along the boards. Following the collision, Malkin looked more engaged — and enraged — than he has all season, culminating in a “fight” with Lightning captain Steven Stamkos. Since he can rack up points in his sleep (55 points in 50 games), his production may not skyrocket as a result of this scrappy affair. However, Angry Geno’s overall impact is considerably higher than that of Indifferent Geno. When he has a burr under his saddle, he imposes his will and dictates the flow of the game like no one else in the NHL. Sure, dropping the gloves is rarely a good idea for superstars, but Malkin thrives on intensity. Once he sees red, he becomes a bull in a china shop, storming up and down the ice with unstoppable momentum. If Malkin can carry that fire through the home stretch, Girardi just committed a grave mistake. Don’t poke the bear. On the blue line, Justin Schultz is practicing with the club and should return within the next few days. The 28-year-old suffered a serious ankle injury four games into the season and was sorely missed during his recovery. Though he isn’t a possession darling, that isn’t the team’s identity anyway (18th in CF%). It may not always own the balance of play, but it makes full use of its touches with bursts of speed and creativity. To that end, moving the puck quickly and efficiently from the back end is pivotal. Schultz’s presence should greatly improve Pittsburgh’s breakout and unlock even more of the forwards’ potential. Beyond quality of competition, there’s a reason he’s outperformed his teammates in goal shares since his arrival. He generally keeps things simple by making an accurate first pass that allows the stars to gather a head of steam and put defenders on their heels. Once the Pens settle into the offensive zone, he supports the attack with well-timed pinches and a knack for getting his shots through traffic. This creates layers that are difficult to contain. Pittsburgh is already deadly off the rush thanks to Malkin, Sidney Crosby (58 points in 47 games) and Phil Kessel (55 points in 50 games). By enhancing that quality, cleaning up the blue line’s puck management and increasing the time spent on offense, Schultz brings solid value to the table. With the trade deadline fast approaching, general manager Jim Rutherford would be wise to add another puck-mover to either replace or help Jack Johnson. The 32-year-old veteran possesses great tools, but he’s never quite put them together in order to govern the play. In his first year with the Pens, opponents are controlling 53.6% of the shot attempts, 51.0% of the scoring chances and 61.4% of the goals scored at 5-on-5. 161 defensemen have played at least 500 even-strength minutes this season. Johnson ranks dead last among them in relative GF%. That’s the definition of a millstone. With Letang and Brian Dumoulin forming one of the best pairings in the NHL (54.0 CF%, 56.6 SCF%, 66.2 GF%) and Schultz likely to team up with Olli Maatta, sorting out the bottom pairing would be huge. The entire blue line could then facilitate the team’s speed-based philosophy and let the horses run wild. That frantic, electrifying style only works if you have a steady netminder. For most of the past two seasons, Matt Murray hasn’t looked the part. The unflappable demeanor that carried him to two Stanley Cups was swapped out for jittery displays between the pipes. Granted, injury troubles didn’t help his case either. At any rate, he appears to have turned things around. Across December and January, he’s posted a 2.15 GAA and 93.4 SV%. He appears quieter in his movement and sharper with his tracking. That level of assuredness is precisely why Pittsburgh felt confident enough to play at its desired tempo from 2015-17. Its goaltender was called upon when mistakes were committed — there were many in head coach Mike Sullivan’s high-octane system — and Murray was there to calmly repel the opposition. Assuming he regains that form or thereabouts, the Pens will find themselves in a great situation. Tampa Bay and the New York Islanders are stealing the headlines at the moment, but no one should want to face these Penguins. They boast a 54.4 GF% (5th), they’re 17-8-1 since Dec. 1 and recent developments should allow them to coalesce even further as the games grow more important. After a listless first half of the year, Malkin may have woken from his slumber. Schultz is due back any minute to bolster the second pairing. Murray has found his footing in the crease. With improvements on all three levels of the depth chart, Pittsburgh looks refreshed and set to remind the hockey world of its blistering speed and blinding waves of instant offense. And when we say instant, we mean it. You can hold your own against Pittsburgh for 50-plus minutes, but if you slip up for just a moment, it can run you right out of the rink.